Lakes & Reservoirs | Efficient Sonics Ltd. The Efficient Sonics Smart Lakes product range is suitable for lakes of all different sizes. For each range we offer two product variants, with one containing a single transducer, and the other containing two transducers. 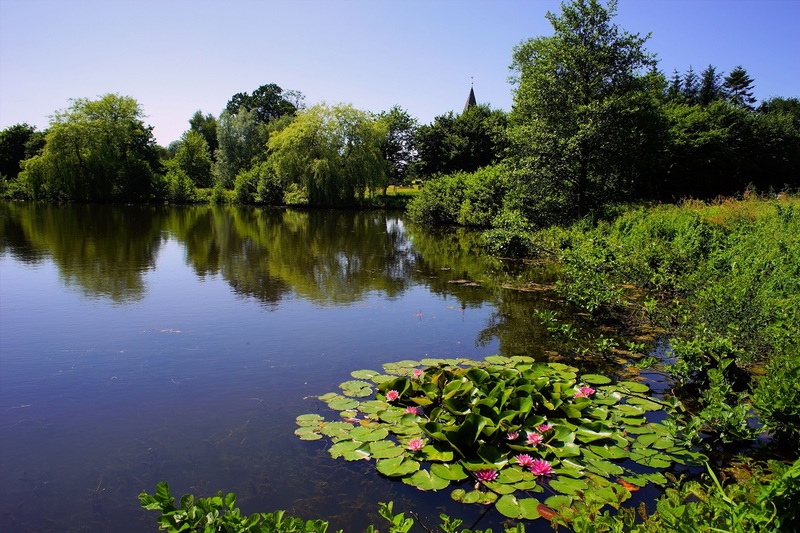 Whilst a single transducer can effectively remove and prevent algae growths, often lakes are shaped unusually so two transducers may be required. All of our products contain the sophisticated and unique Smart Tune Technology, so the optimum frequency is emitted. Furthermore a Portable Ultrasonic Meter and a USB Microscope can be purchased, which means you have the peace of mind knowing your Smart Lake product is operating at its best. The Smart Lake 50 L 1 has an output of 30 Watts and single large transducer, allowing algae elimination to 50 metres. The Smart Lake 100 L 1 has an output of 40 Watts and single large transducer, allowing algae elimination to 100 metres. The Smart Lake 200 L 1 has an output of 50 Watts and single large transducer, allowing algae elimination to 200 metres.